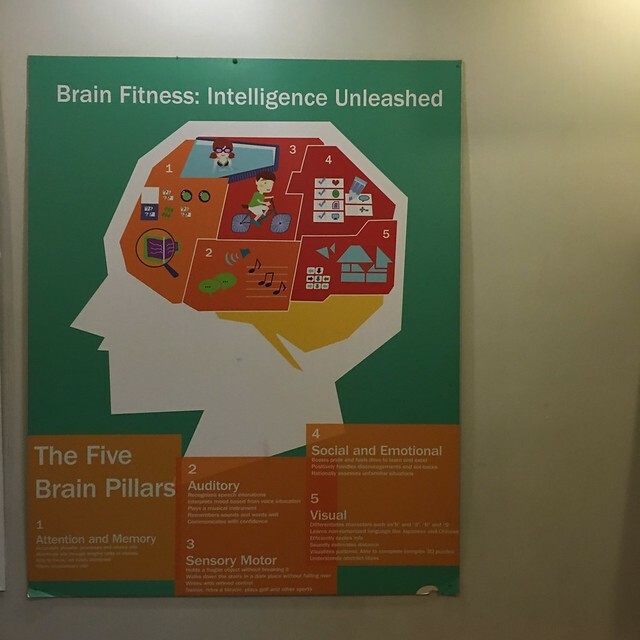 What is brain fitness? Is there such a thing? Just like physical fitness, it has five pillars that determine how fit a person is: strength, flexibility, endurance, speed and coordination. 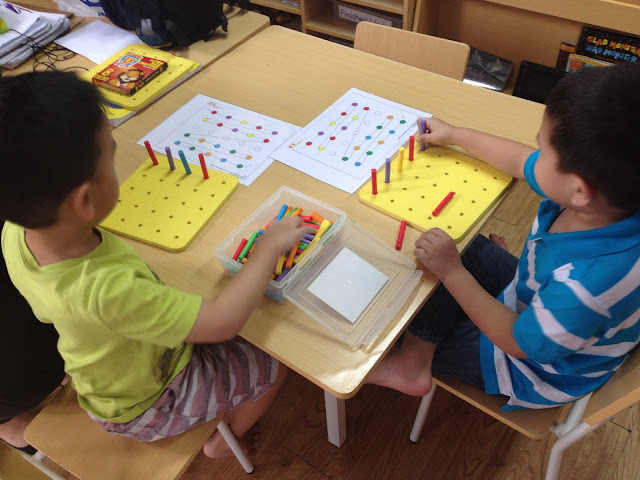 Brain fitness also has five pillars: sensory-motor, attention, visual, auditory and social emotional. Our physical fitness influences our performance in sports while brain fitness influences our learning and achievement in school, work, and daily life. 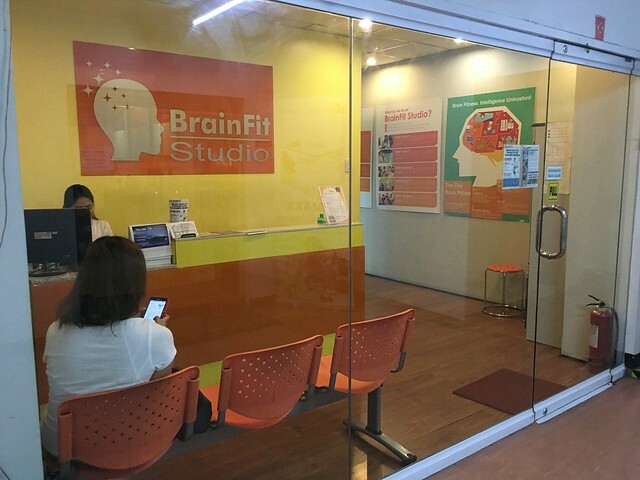 Today, there's a center that provides the most modern neuro-scientific-based brain fitness training programs in Asia and that is BrainFit Studio. Two years ago, Y's school had a talk about EQ and grit by BrainFit Studio. The talk was very informative and an eye-opener for me. There are enrichment program centers on Math, Reading, Filipino and Chinese and I've thought of enrolling Y and R but up until now I haven't really decided on it mainly because of the mixed feedbacks from different parents. It is said that if you give a man a fish, you feed him for a day; teach him to fish, and you feed him for a lifetime. BrainFit focuses on the foundational skill needed to further the learning process be it in the academic aspect or learning a skill. 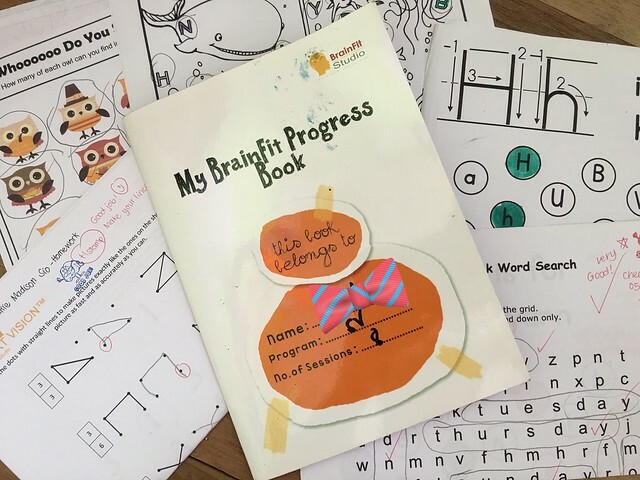 BrainFit's training uses the SMART protocol based on neuro-scientific training: S is for setting appropriate and achievable goals, M is for measurement, A is for adaptation, R is for rewiring through focused practice, and T is for transformation of the brain and the individual. 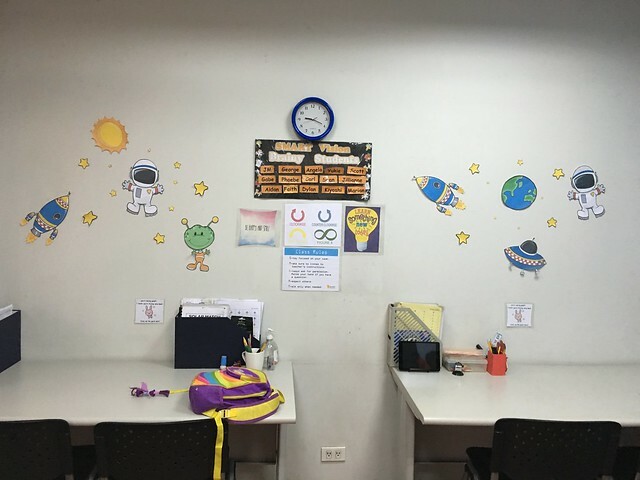 Last May, we were given the opportunity to try one of the BrainFit programs, we went to their San Juan branch (Y was also having art class in My Little Art Place, that's why we chose this branch). 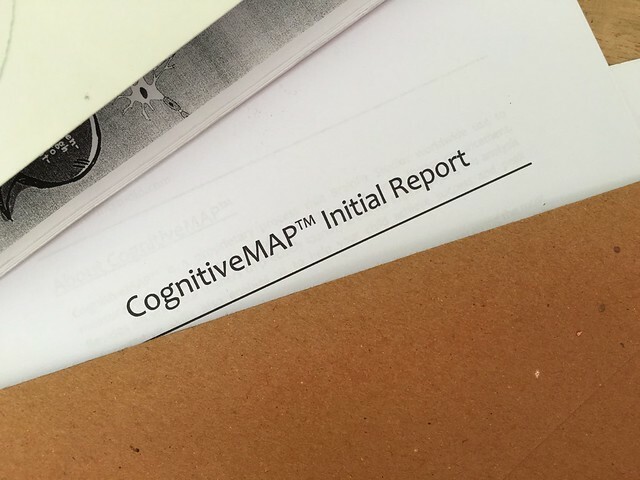 Y had to take the CogMap (Cognitive Map) assessment which is an essential tool to measure and analyze the brain fitness level or cognitive skill of a student. 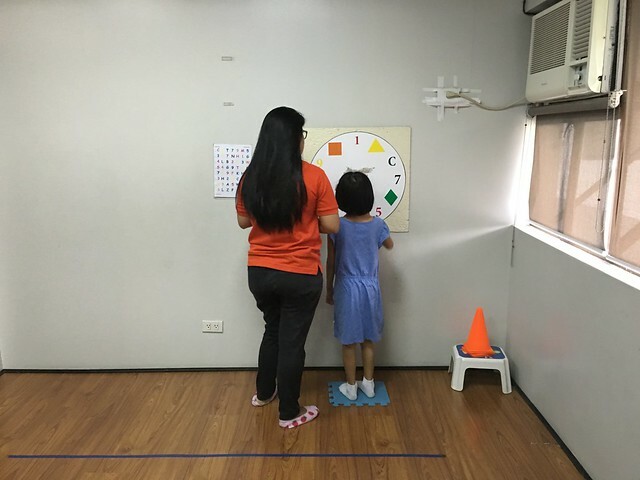 It's a 2-hour long, one-on-one assessment using standardized tests which profile the student's brain in the five key areas of visual, auditory, sensory-motor, attention and memory and social-emotional. 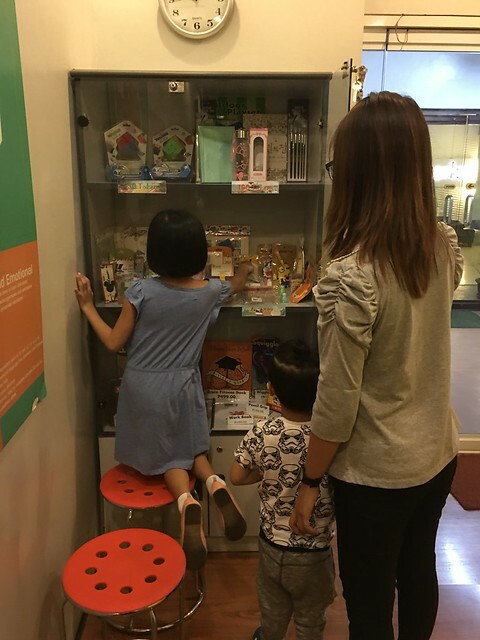 BrainFit offers five kinds of programs based on the five key areas mentioned above, your child can take one program or a combination of the programs. 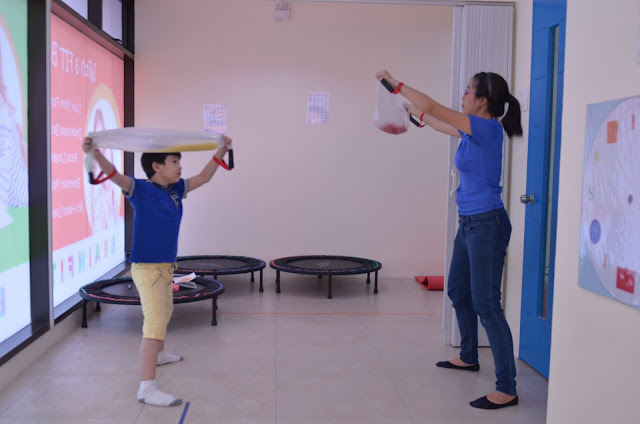 SMART Moves involves improving sensory-motor coordination. 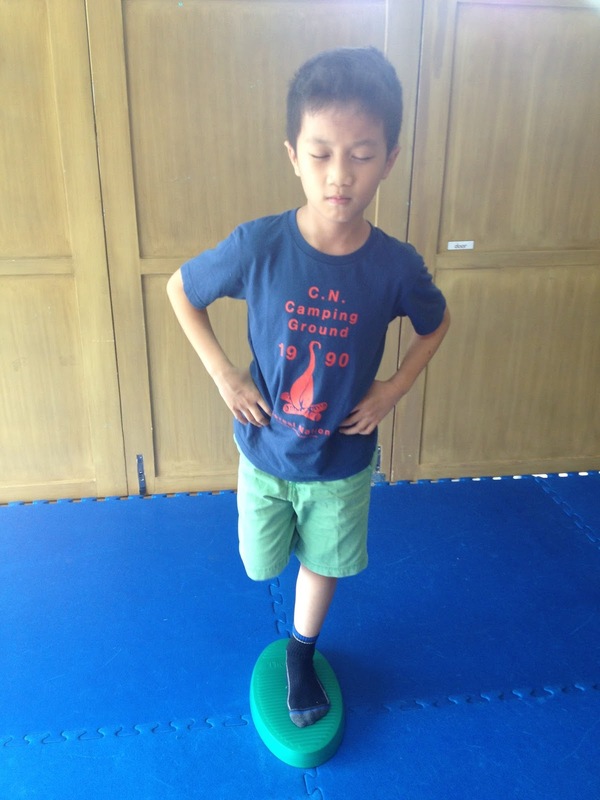 Exercises for this fitness program includes enhancing fine motor strength with the help of special putty, using a vibrating “Wiggle Pen” to improve control (and handwriting), and other activities that help your child achieve better balance, endurance, and so forth. SMART Vision is all about visual and spatial processing. Some exercises may challenge the child to process shapes, colors, and directions they read while performing physical activities like jumping on a trampoline as well as a series of hand-eye coordination exercises, drawing exercises, tangrams, and even specially designed computer programs and apps to develop this area of the brain. 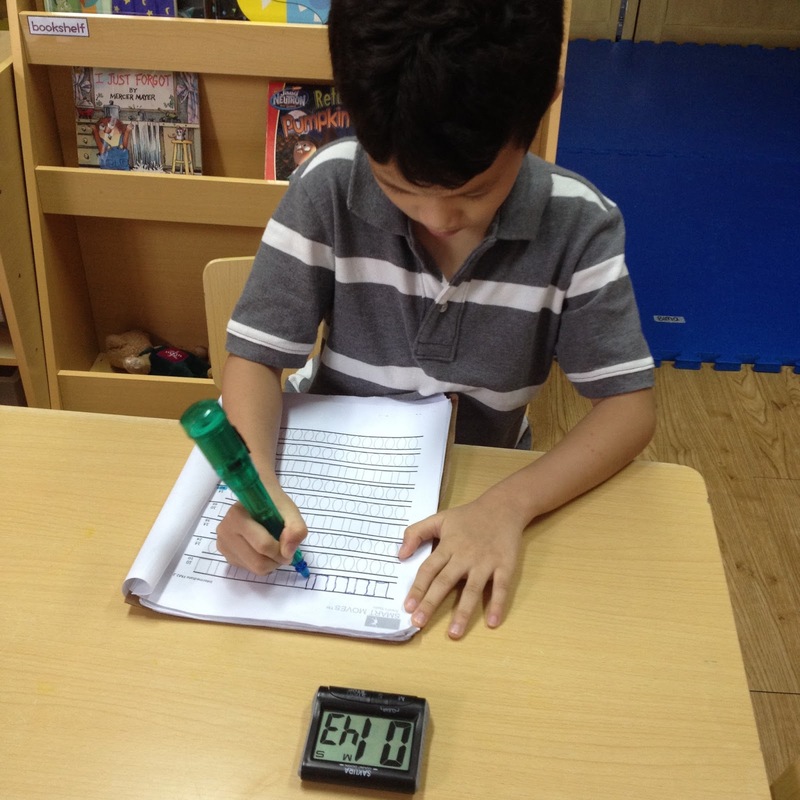 In a Singaporean study of the exam results of boys who took six months of SMART Vision training in 2001, schools reported a 25% increase in overall marks, a 35% improvement in English, 50% in mathematics, and 12% increase in foreign language skills. SMART Listening helps develop auditory and language processing skills. 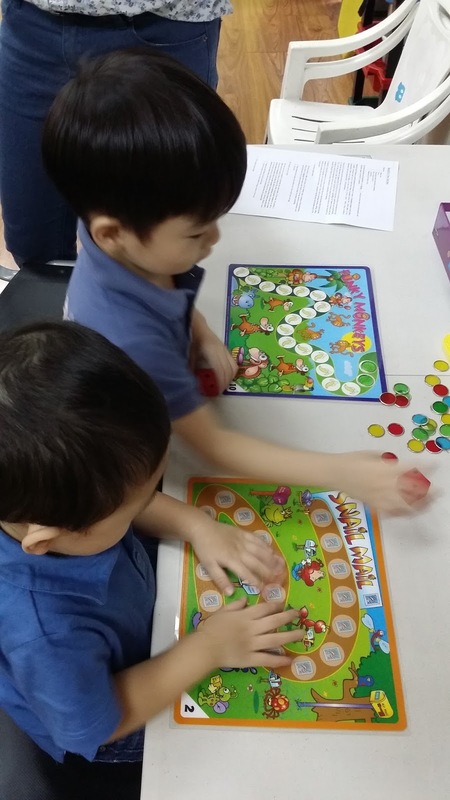 BrainFit Studio uses a scientifically proven program designed to improve attention, comprehension, and auditory memory. 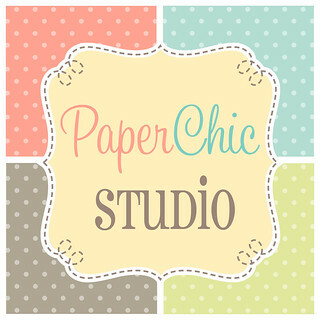 These use cute and colorful animations to make the experience more fun for the child. 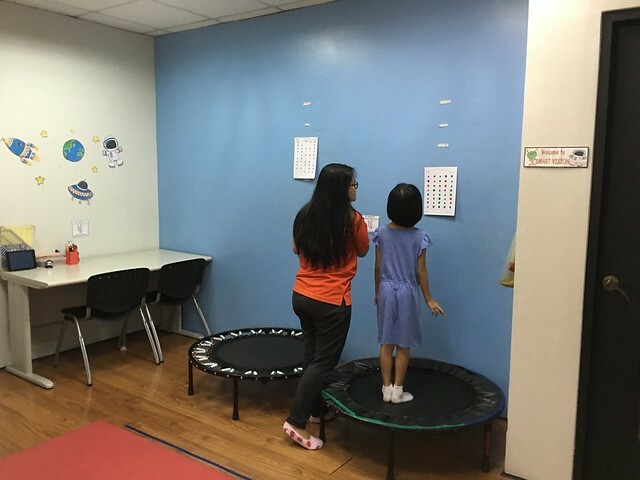 SMART Focus uses neuro-feedback technology also used by NASA and the US Air Force to monitor kids’ brains while they perform exercises to improve attention and memory. Don’t worry that your child will be hooked up to wires like something out of a sci-fi movie, though! 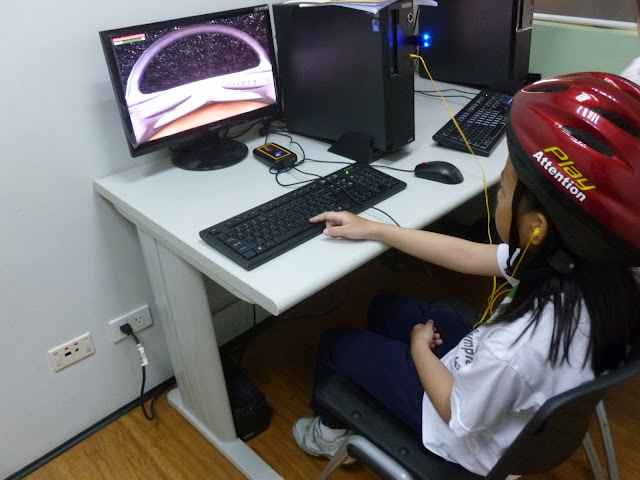 This equipment looks more like a biker’s helmet, and it tracks the active parts of your child’s brain while he engages in specially designed programs that train his brain to focus better. 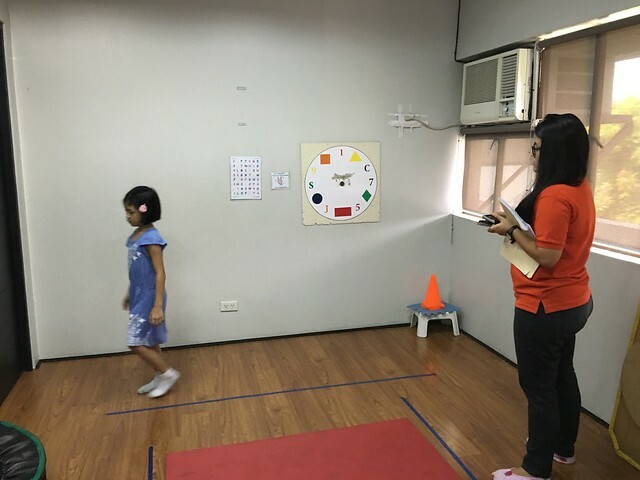 Following SMART Focus training, a test group of kids showed an average improvement of 12% in attention and 14% in impulse control. 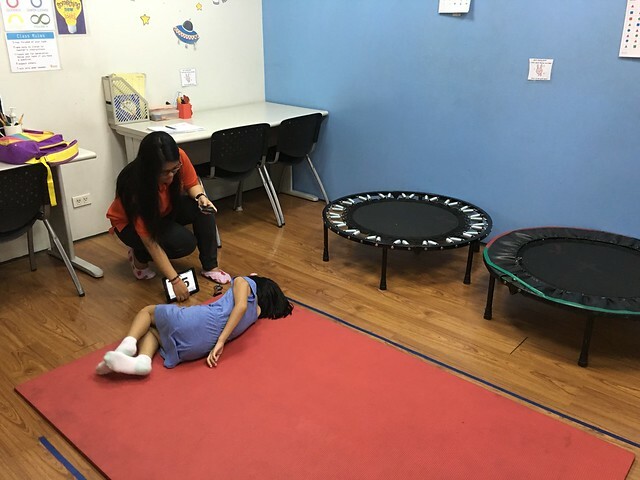 SMART Emotions is all about EQ; it teaches social-emotional self-regulation to help kids handle their moods, learn to relax, and deal with various social situations. These are achieved through a workshop course designed with sessions for just the kids as well as ones with the kids and their parents. 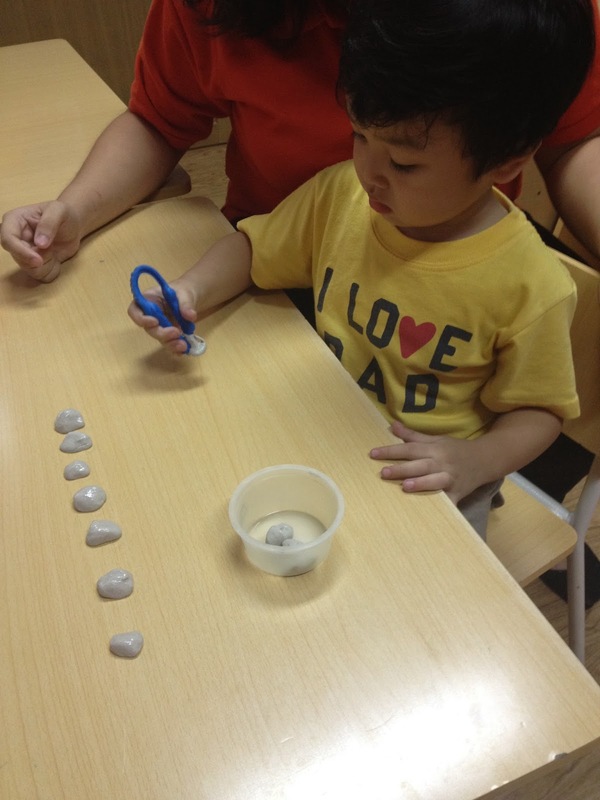 Through guided role-playing and other activities, children learn how to express and handle their emotions in efficient ways and deal with social situations that may not always be comfortable. While waiting for Y during her assessment, I was also given a form to answer which I think was matched to Y's CogMap. 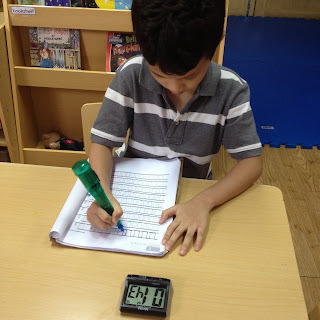 It was a very detailed form with questions about your child and how well you know them. We got the results for the CogMap the next day and was asked to come again so the results can be explained to me as well as choose which of the recommended programs Y will take. The CogMap result was explained to me by Teacher Apple. I was really surprised on how detailed and accurate the result was. 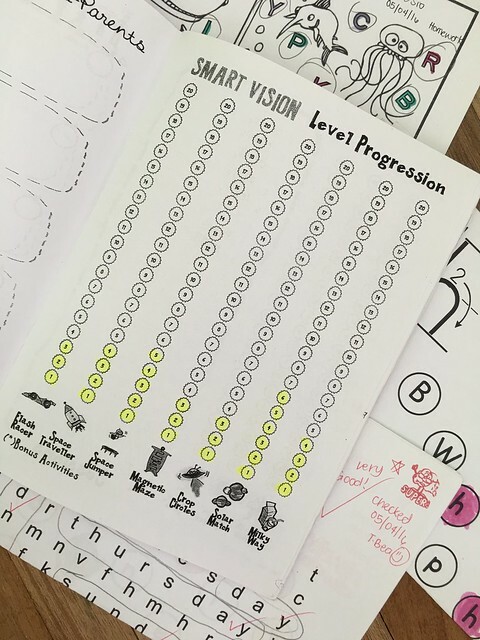 The CogMap was able to identify Y's strength and areas that needed improvement. Ang galing lang! The CogMap recommended 3 programs for Y which were SMART Moves, SMART Vision and SMART Listening. I chose Smart Vision based on the results and because it had one of the lowest scores. Each program requires 8 1-hour session. Each class has a 1:4 teacher-student ratio. 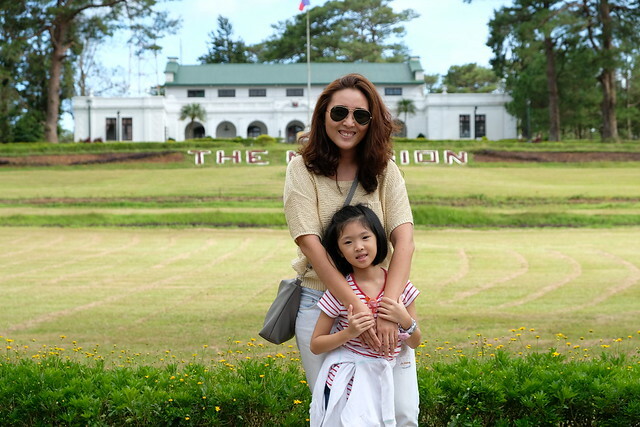 Most of the time, Y didn't have a classmate so it was a one-on-one session with her teacher. 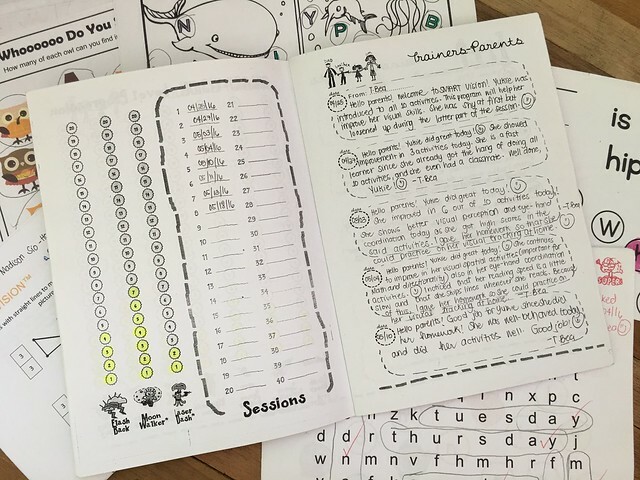 They were given a My BrainFit Progress Book and each session the teacher tracks their progress and writes a feedback/comment for the parents (see photos below). They're also given points every session depending on their progress and by the end of the program, you can exchange your points for a prize, parang Time Zone! Y was motivated by because of the prize! Heehee! 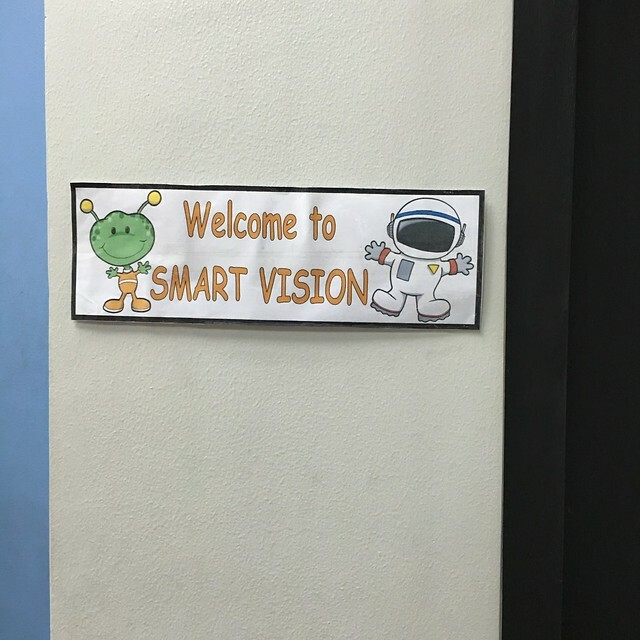 This is where classes for SMART Vision was held. She was given this My BrainFit Progress Book to track her (as the book's name) progress. I love the feedback section. Even if I don't see what she does in her sessions, I knew she was improving. I was able to join Y on her last class and see what she does during class. I was surprised, amazed and impressed all at the same time. Y is a great student, she listens to her teacher, follows instructions well but I think she got a bit distracted because I was in room. 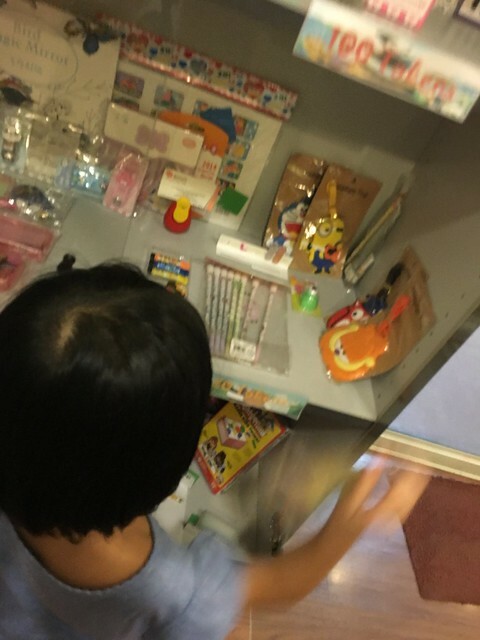 **They normally don't allow parents inside the classroom. 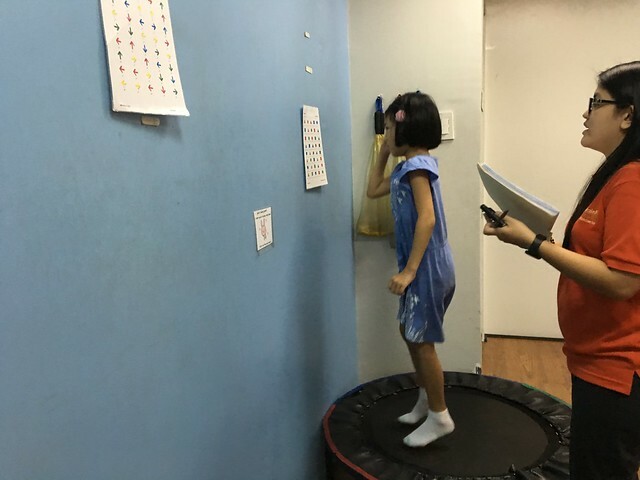 She did a series of activities including reading shapes, directions while jumping on a trampoline, walking to and from a line, and more! 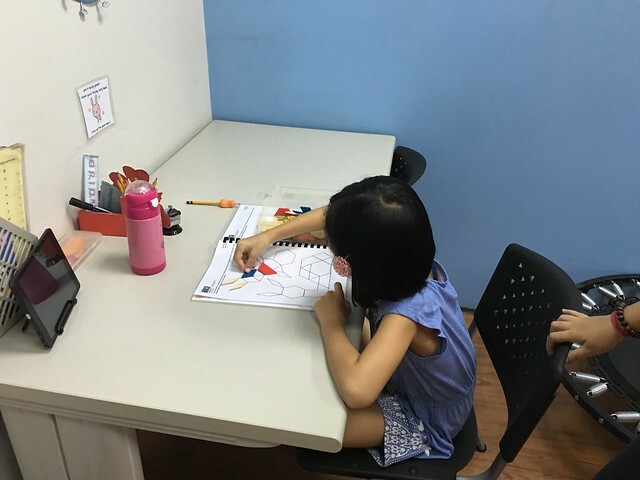 After the physical activities, Y also did table activities such as hand-eye coordination exercises, drawing exercises and tangrams. 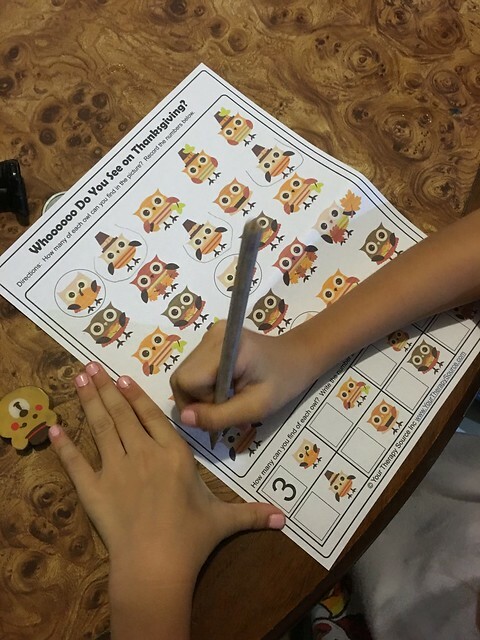 They were given homeworks too but they're very easy. Most of the time they already did the same activity during their session and they just do another sheet at home. One of their worksheets was a word search activity, I bought a word search book for her after that. When I was in high school I loved doing word searches, I'd ask my mom to buy me word search books at the bookstore and I would spend hours finishing a page after another. Then I became addicted to Sudoku, I guess that's how my exercised my brain! One of the few homeworks she did. At the end of our 8th session, she happily picked her prize! Parang Time Zone lang. Heehee! 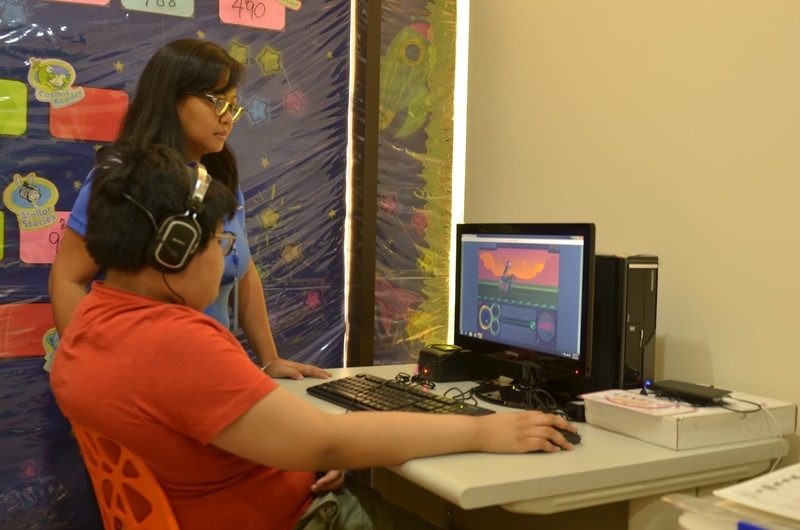 BrainFit Studio also caters to individuals diagnosed with learning difficulties such as attention deficit hyperactive disorder (ADD or ADHD), auditory processing disorder (APD), dyslexia, language delays, sensory-modulation disorder, dyspraxia and autism spectrum disorder (ASD). 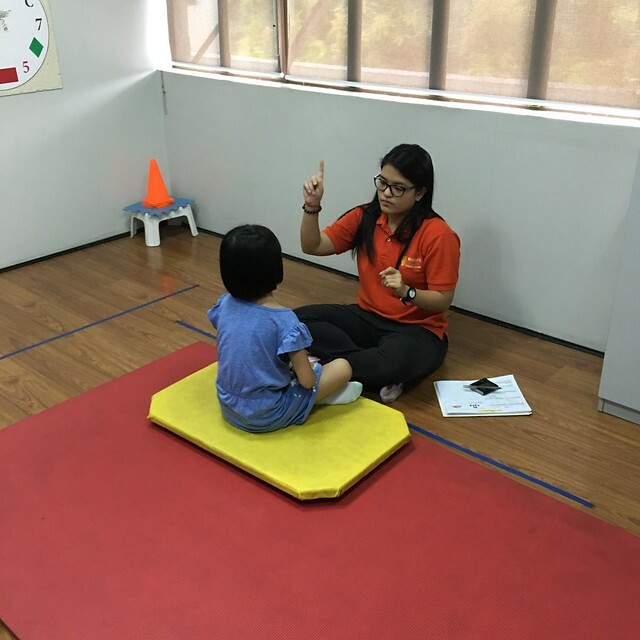 They also have a programs for young kids aged 3-6 years old called BrainFit Junior, which helps kids develop their fine motor coordination and core stability but also their ability to listen and follow instructions, take turns and recognize feelings. 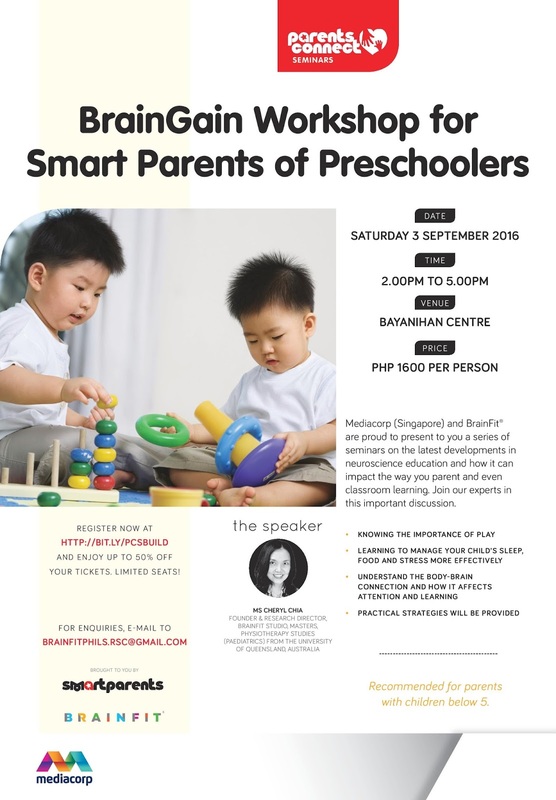 Brainfit Studio will also be launching a BrainFit Baby program in the second half of 2016, which will target babies from nine months to three years old and require more hands-on participation from the parents. 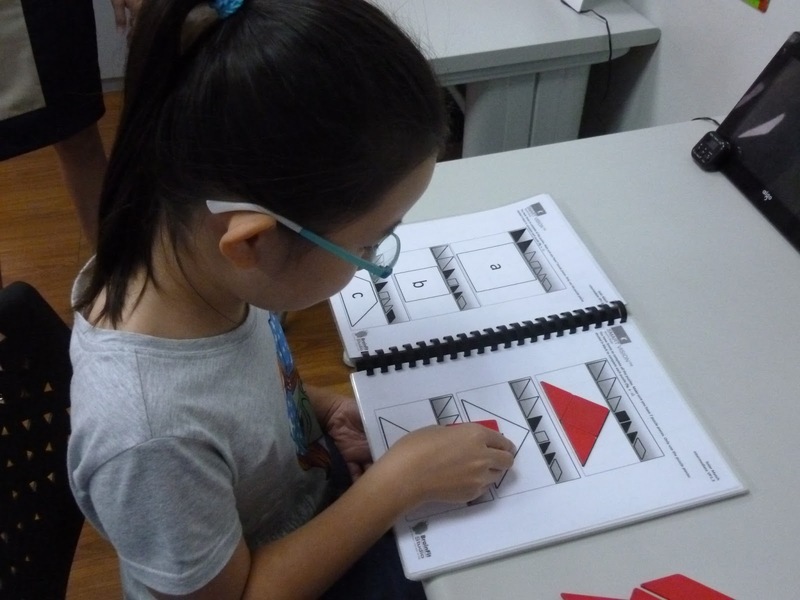 Y enjoyed her SMART Vision classes. After the 8 sessions she attended, I noticed there are improvements in her Chinese subjects. We usually argue a lot when I tutor her at home, this first quarter, we are doing really good, we're not as stressed as before, we argue less and she seems to be doing well in her class. She remembers what the teachers taught for the day. I'm really happy with how our school year is going so far! She'll continue her SMART Vision next month at the BrainFit near us! Yay! I think BrainFit is something you should consider for your child, I know a lot of moms would prefer programs for specific subjects but I think it's also essential that they can be trained on how to do well also on other subjects. Call or visit the nearest BrainFit Studio to inquire and schedule of CogMap test today! 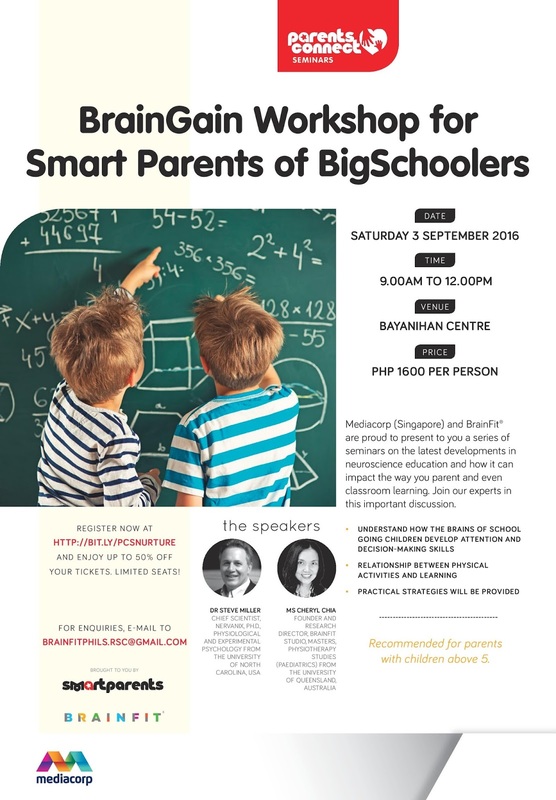 BrainFit Studio Philippines will also be having a couple of workshops for parents this September that is really worth attending.